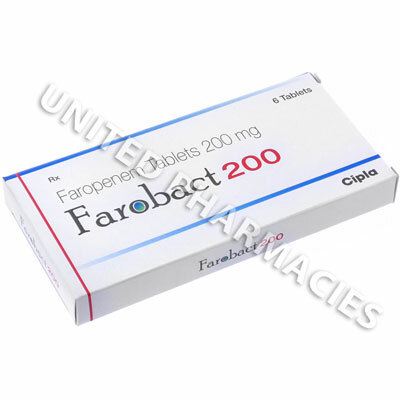 Farobact (Faropenem) is prescribed to treat a variety of bacterial infections, including sinusitis, otitis externa, pneumonia, bronchitis, tonsillitis, pneumonia, bronchitis, tonsillitis, adnexitis, lymphangitis, skin infections, as well as acne. Always use as recommended by your physician in order to limit the risk of undesirable symptoms. Most patients are prescribed between 150mg and 300mg of Farobact (Faropenem), taken 1-3 times a day.